Pardon IPOB members, Igbo youth in prison | Kanu’s lawyer tells Buhari – Royal Times of Nigeria. Lawyer to embattled leader of the Indigenous People of Biafra (IPOB), Nnamdi Kanu, Ifeanyi Ejiofor, has asked the Federal Government to pardon detained members of the group and others of Igbo extraction. It could be recalled that the court had granted bail to Kanu but detained others who are on trial with him and the embattled IPOB leader had disappeared since soldiers allegedly invaded his residence in Abia State. Ifeanyi Ejiofor in a letter addressed to the Attorney General of the Federation and Minister of Justice, Abubakar Malami, he said President Muhammadu Buhari had recently granted pardon to over 500 prison inmates detained on various violent offences in Kano Maximum Security Prison, adding that such gesture should be extended towards hundreds of innocent and defenseless IPOB members who are mostly youths in South-East states and Kuje prison. 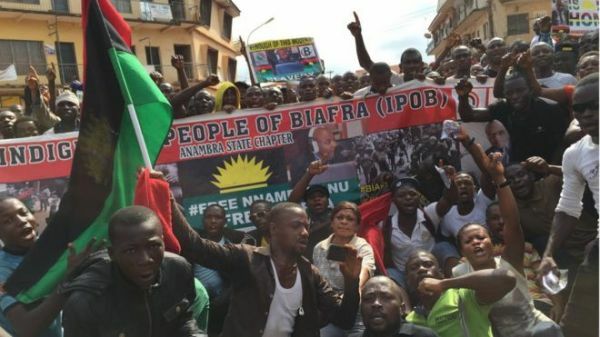 Ejiofor stated in his letter,“While commending the Commander in Chief for such a patriotic act, we respectfully wish to implore the President to extend the same gestures to hundreds of innocent and defenseless members of the Indigenous People of Biafra (IPOB), largely made up of Youths of Igbo extraction, held across the various prisons in the south East States and Kuje Prison in the Federal Capital Territory, on accounts of phantom charges, frivolous and cooked-up allegations, for merely exercising their constitutional guaranteed Rights to self determination including our Client who has been held in the custody of the SSS for over 14 months without trial. “What is good for the goose is also good for the gander! If the President is a true Nationalist, he should do the needful in this regard, without further prompting. One sided justice will amount to injustice!”,.